Rosh Hashanah (רֹאשׁ הַשָּׁנָה‎‎) literally means “head of the year” and is the Jewish New Year. Like the secular New Year on Jan 1st, the Jewish New Year is a time of introspection and resolving to make necessary changes in the next period. Rosh Hashanah marks the start of ten days of repentance so there is less of the drinking and partying for most Jews. At the end of the ten days of repentance is the day of atonement (Yom Kippur). More on that soon. There are actually four new years in Judaism but Rosh Hashanah is when the year number increases. This year, we enter the year 5777 – counted from the start of the biblical creation of humankind. Rosh Hashanah always falls on the first two days of Tishrei, the seventh month of the Hebrew calendar. 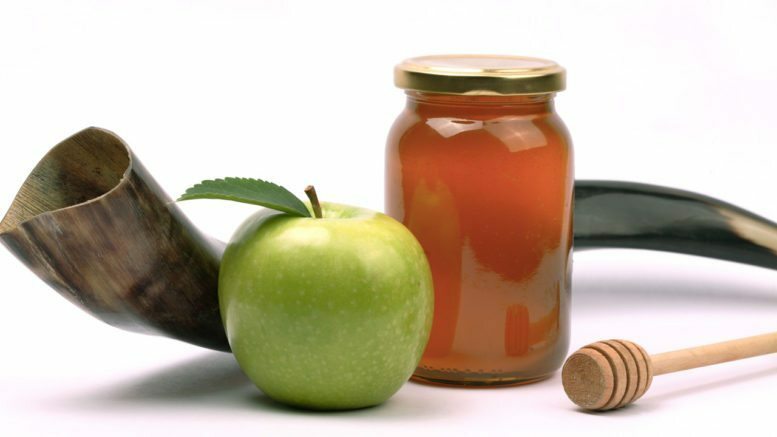 In 2016, Rosh Hashanah will start on the evening of Oct 2nd and end on the evening of the 4th – two holy days. An important part of Rosh Hashanah is to hear the shofar (rams horn) at synagogue. A total of 100 notes are sounded by the shofar on Rosh Hashanah. Other customs are to eat round bread, symbolising the circular nature of the year, and to dip apples in honey, representing a desire for a sweet year ahead. The most common greeting on Rosh Hashanah is Shanah Tovah (שנה טובה‎‎) which means “[have] a good year”. So Shanah Tovah to you and yours. Bring on 5777!